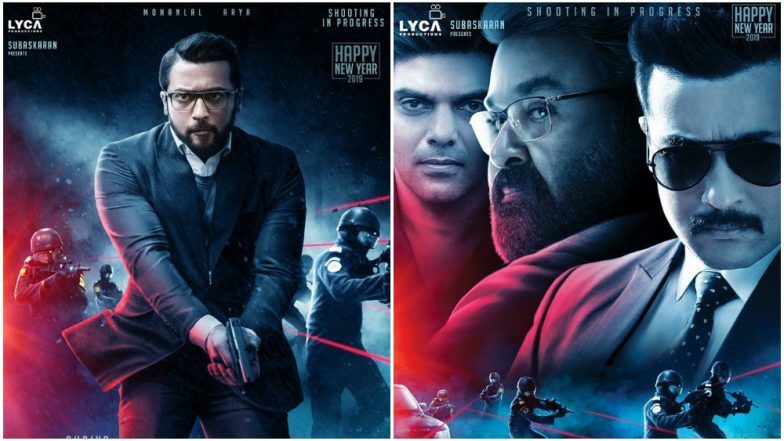 Considering it is Tamil New Year today, here's the best treat fans get today as the teaser of Kaappan starring Suriya, Mohan Lal, Arya, Samuthirakani, Boman Irani, Saayeesha in lead roles is now out. Suriya is one of the most loved Tamil heroes and has over the years shown immense versatility in his work. He has a massive fan following and hence what better than to have the teaser of his upcoming film to be released over Tamil New Year. The film from the teaser looks like a political action thriller. Earlier Telugu star Allu Shirish was also to be a part of the cast before he walked out and was replaced with Arya. Harris Jayaraj has scored the music for the film. Kaappan also happens to be Suriya's 37th film and has been one of the most-anticipated projects for his fans. Kaappan has been produced by Lyca Productions and the KV Anand film is all set to release in August 2019. Yesterday, we also got to see the first look poster of Suriya's upcoming film with director Sudha Kongara titled Soorarai Pottru. We bet all the Suriya fans are immensely excited about his upcoming projects. Tell us how you found this teaser in the comments section below. Suriya Collaborates With Viswasam Director Siva for 'Suriya 39' and It is Huge!